OxFSN worked with Tom Skinner from Age UK Oxfordshire on another Comic Relief funded project called ‘Get the Picture’. 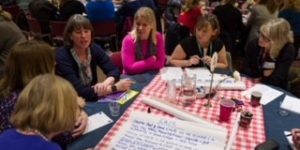 A new report commissioned by Healthwatch Oxfordshire and delivered by the Oxfordshire Family Support Network (OxFSN) sheds light on the difficulties faced by families seeking appropriate care and support for loved ones with learning disabilities, autistic spectrum disorder and mental health needs or challenging behaviours. The report highlights the failures in respect of the current system in Oxfordshire and calls on local commissioners to work with families and service users to create services which meet their needs by working with them as ‘experts by experience’. Further information is also available by following the link to Healthwatch Oxfordshire.